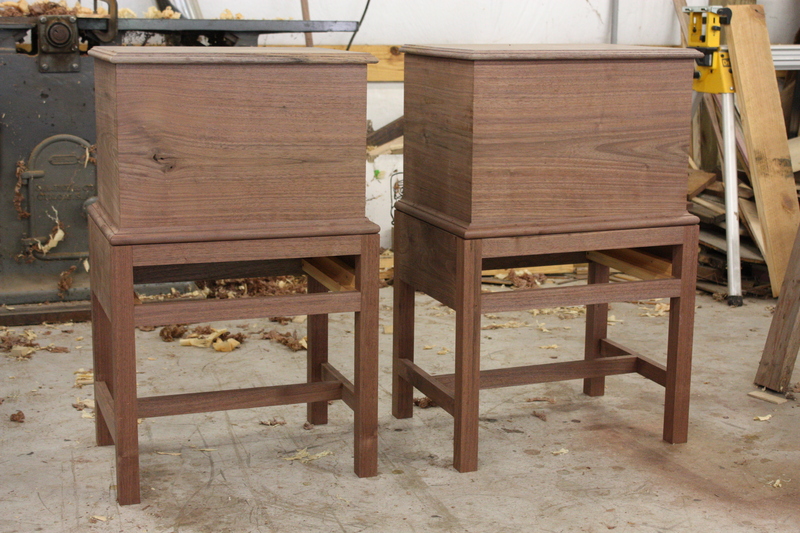 The stands have been glued, molding mitered and attached, case support in place, and drawer runners attached. Next will be building the drawers. Thess are reproductions of 18th century N.C. cellerats. Reproductions are more tedious . This is because I am trying to be as close to the original as possible. This entry was posted on October 8, 2010 by furniturewithhistory. It was filed under cellerats progression series, photos, Uncategorized .